April 12 seems a long way ahead and I might be already growing some lichen on me for such a long wait. But thankfully we have an early taste of the season's offering though a wonderful documentary titled Game of Thrones Season 5: A Day in the Life, released last February 8, 2014. Now this ultra priced trinkets are added by more goodies, one of which is the hair-raising poster of the show, featuring Tyrion aboard a ship on his way to escape, and the now grown black dragon -- which I think can now be ridden upon -- named Drogon. Checkout the new hair-raising poster for Game of Thrones Season 5. And how we have 2 new clips from the show, courtesy of The Sight bestowed to us by the Raven. 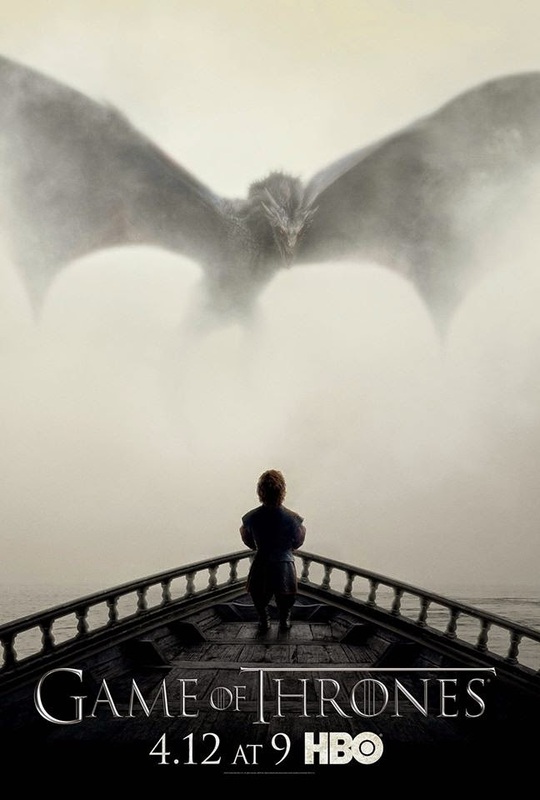 Game of Thrones Season 5 premieres on Sunday, April 12 only at HBO.